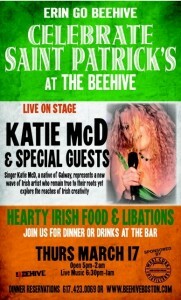 CELEBRATE SAINT PATRICK’S DAY AT THE BEEHIVE with special guests!!! Elizabeth and Ben Anderson, a Celtic fidd le and cello duo, has been gaining an enthusiastic following in the Boston area and throughout New England. Blending Scottish and Irish tunes with lively rhythms and innovative harmonies, they create a sound rooted in tradition, inspired by the contemporary, and completely original. 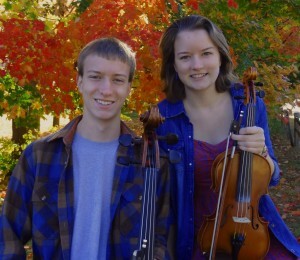 On stage, they captivate audiences with their ability to effortlessly communicate musical nuances as only siblings can. 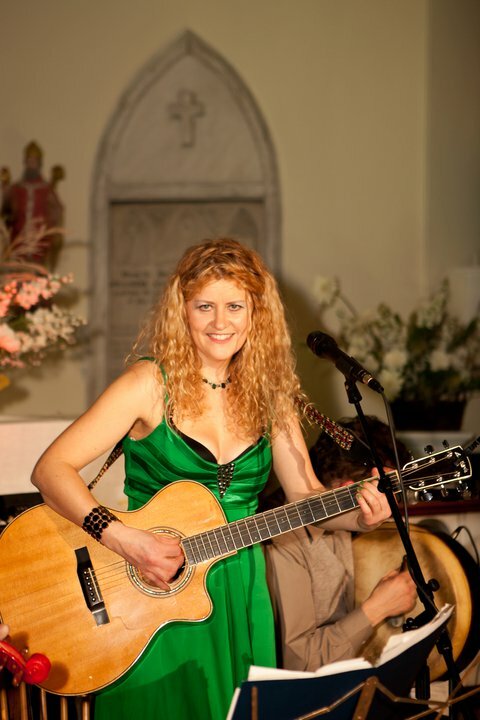 The ever-upbeat and fun-loving Galway native, Katie McD and her dynamic Irish Cross-County Band, is a stellar blend of traditional Celtic, contemporary and original music. It’s a diva-rich troupe this year with three talented ladies and one equally talented gent! Enjoy an entertaining glimpse of Ireland with the lilting vocals of Katie McD; ‘stories from home’ told by the ever witty, good looking bodhran player and Tipperary native, Martin Butler ; joined by the talented Danielle Kleeman, Vermont native, on vocals, flute and piano. 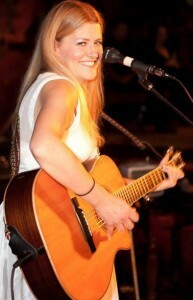 The concert features special guest, Elize Boeur, Vancouver native, who is a thoroughly unique breed of fiddler. She ties together diverse influences with a deceptively light touch – her distinctive, silvery tone, toe tapping rhythm and vibrant tone murmur Donegal & Scandinavian fiddle styles among others. Stomp the night away with the magical convergence of talent! Get your green on and bring your groove – You are in for a real Irish treat! 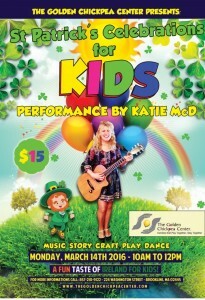 St Patrick’s Day Celebration for kids! Come join us for a Saint Patrick’s Day Celebration for kids! 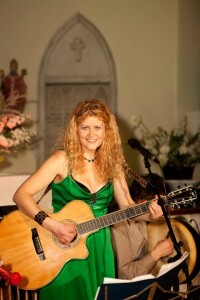 A taste of Ireland for kids with music, story & crafts. The Golden Chickpea Learning Center is a wonderful play space for kids. The Event runs from 10am to 12pm. Well, it is hard to believe it is that time of the year again! The Shamrocks are out! Wishing you all a happy St Patrick’s Weekend and if you plan on joining the festivities, then we have a few in store for you! 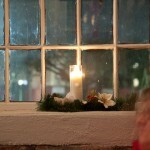 Come join us for a pint and a bit of fun, folly, songs & stories. It is going to be a blast! !The Line up for the Band is Katie McD on guitar/vocals/bodhran, Martin Butler on bodhran/guitar, Danielle Kleeman on bvocals/flute/piano and Dan Kellar on fiddle/guitar. 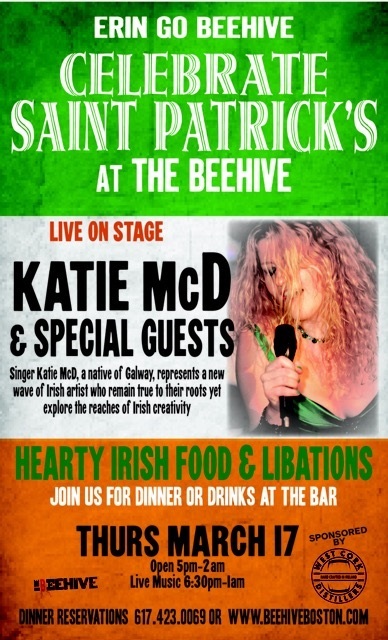 Katie McD Band Live at the Beehive in Boston on St Patrick’s St. Patrick’s Day at 8pm. The 3rd annual Celtic Christmas Concert will be held in St. Augustine’s Chapel, to benefit the South Boston Youth Ambassadors ‘Young art Arts’ programs, on Saturday evening at 7pm, December 21, 2013. The historic 192-year-old gothic revival styled St. Augustine Chapel is located in South Boston, on Dorchester Street between West Sixth and Tudor streets. Young at Arts is co-sponsored by the South Boston Community Health Center and the South Boston Arts Association. 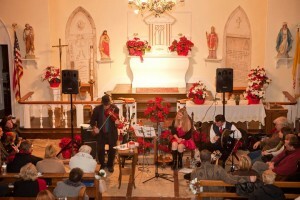 Katie McD and her Cross-County Band perform an upbeat Irish flavored variety show with a mixture of traditional Celtic, Christmas and popular Irish music and song. 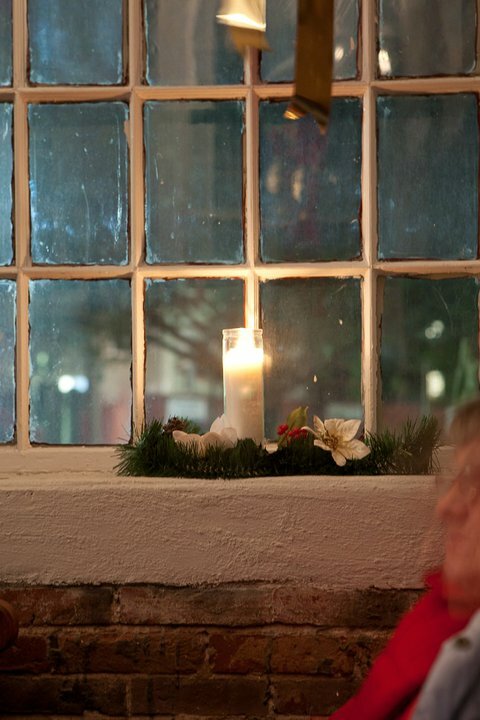 The talented trio journey through Christmas in Ireland with ballads from the lilting vocals of Katie McD, poems and ‘stories from home’ told by the ever-witty bodhran player, Martin Butler and the foot stomping Irish fiddle tunes of Dan Kellar. 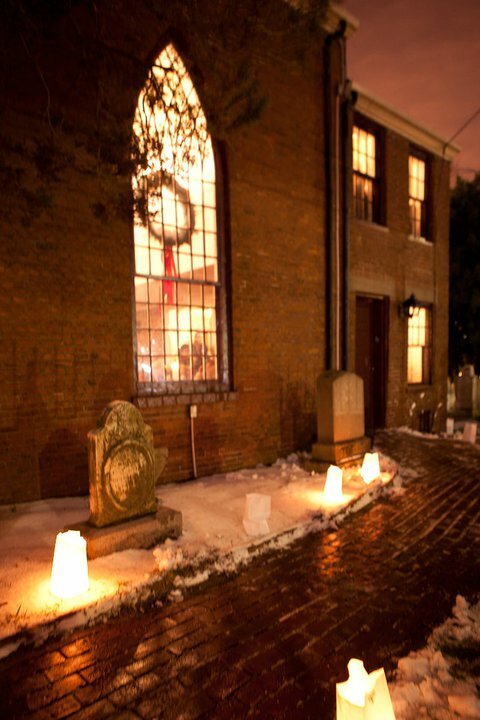 Celtic Christmas in the Chapel will be held at 7.00pm, December 21, 2013 at the St. Augustine’s Chapel, 181 Dorchester Street, South Boston.Tickets for the concert are $20. 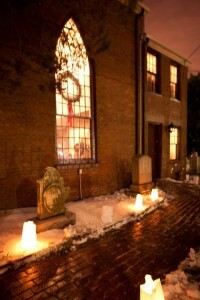 Limited seating at the Chapel suggests advance purchases and early arrival at the chapel.Tickets may be reserved by calling: Mayra Rodriguez Howard at 617 484-7423, Linda Doran at 617 464-7463 or Dan McCole at 617 464-4237.